The Insured Retirement Institute recently released the “Eighth Annual Update on the Retirement Preparedness of the Boomer Generation” and the report provides some interesting insights into baby boomers’ expectations and preparedness for retirement. While the insight from the survey provides a valuable look into the mindset baby boomers preparing for retirement, it should be noted that the Insured Retirement Institute has been called the “primary trade association for annuities” by U.S. News and World Report. As such, the survey’s findings convey a bias towards annuities and other insurance products providing similar guarantees. The eighth iteration of the survey shows some promising improvements in the overall readiness and ability to retire among the baby boomers survey. The survey also highlights the need for additional work and improvement in the retirement readiness for some seniors, however. Let us take an in-depth look at some of the specific findings. 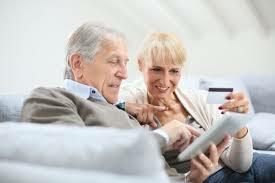 25% of the baby boomers surveyed said they were confident their savings will last throughout their retirement. This is consistent with what we have observed in the industry in recent years. One explanation for the low confidence number is the wide range of retirement savings among baby boomers: two in five boomers have no retirement savings. Another possible reason for the low confidence level is the lack of familiarity with retirement income planning options available to retirees. 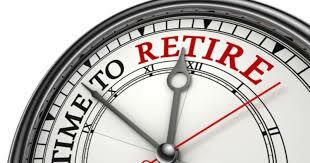 For the most part, baby boomers are the first generation of Americans to retire without an employer provided pension. While one quarter of those surveyed were confident about their retirement prospects, that does not mean they have no concerns about retirement. 76% of survey respondents listed changes to Social Security benefits that may reduce their income as a concern for later retirement years. 69% of those surveyed listed health care expenditures as a concern. The percentage of baby boomers with retirement savings increased from 2017 to 2018. In 2017 only 54% of baby boomers indicated they had retirement savings. That number increased to 58% in 2018, for a 7% increase. Fewer baby boomers are delaying retirement too. In 2018 only 21% of survey respondents indicated they had delayed retirement in the past twelve months. In both 2016 and 2017, 30% of baby boomers indicated they had delayed their retirement in the past twelve months. Finally, it appears that working with a financial professional has a big impact on baby boomers’ retirement prospects. 79% of the baby boomers surveyed who work with a financial professional have at least $100,000 saved for retirement. Of the boomers surveyed who do not work with a financial professional, only 48% have saved at least $100,000 for retirement. As the economy has strengthened and improved, so has baby boomers’ retirement readiness. While there is room for improvement, a higher percentage of baby boomers are well positioned for a comfortable retirement than in the past. To ensure that your retirement prospects are favorable, give the planners at Bollin Wealth Management a call to set up a quick review and assessment.